​Burnley striker Sam Vokes has completed his move to Championship side Stoke City, with Peter Crouch moving the other way on a short term deal. 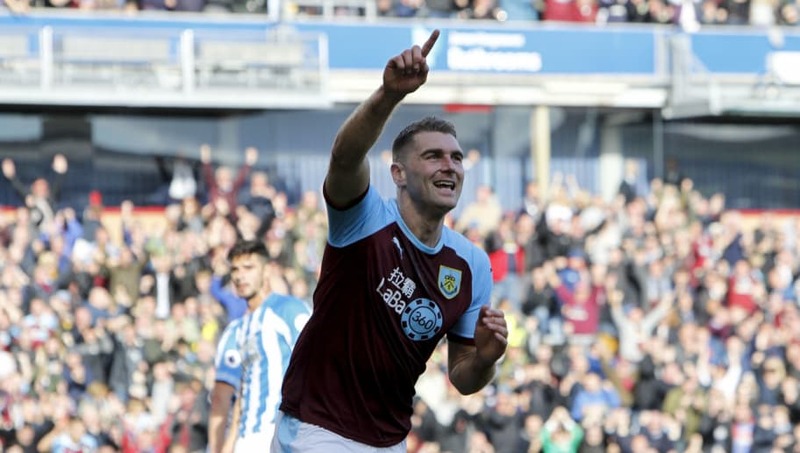 Vokes joined the ​Clarets from Wolverhampton Wanderers in 2012 for £572,000, after initially joining on loan in November 2011, and went on to notch 267 appearances for the team, providing 68 goals and 18 assists. He has played 28 times for Sean Dyche's side this season, scoring four times. And he is now set to join the Potters for the second half of the ​Championship season, on an three and a half year deal. As the deal was confirmed, Sean Dyche revealed to the club's ​official website: “Sam has proved what a good player he has been for us. He has not played as regularly lately and he was a little bit frustrated with that. “He wanted a new challenge and this is an opportunity for him that could work out in many ways. I put great value in Sam as a player and a person for what he’s done for himself and the club." He later reiterated: "Sam felt a new challenge was right for him and the fee quickly got to a level where it worked for both parties. We don't do it purely for that, but when everything is factored in it made sense for everyone." The giraffe-human hybrid has years of Premier League experience, having featured for Aston Villa, Southampton, Liverpool, Portsmouth and Tottenham in England's top flight before joining Stoke in 2011. Crouch ends his Stoke career with 62 goals in 261 appearances in all competitions.